I'm spending some time this weekend doing some slow sewing. It's such a therapeutic thing for me. I'm not a fan of knitting or crocheting, but I do really enjoy english paper piecing. I decided to do a little larger hexagon - these are 1.5" on each side. I like this size because it shows off a bit more of each print. I glue baste my hexagons, and then I've been stitching them together into groups of three. I haven't quite decided what I'll do with them next. I have a few ideas that I'm testing out, but I like what I see so far! 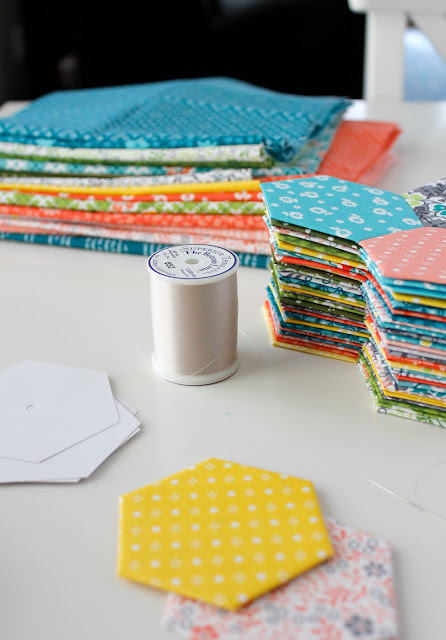 Want to learn more about english paper piecing? One of my favorite EPPers is Sue Daley and she has some great YouTube videos about English Paper Pieicing. 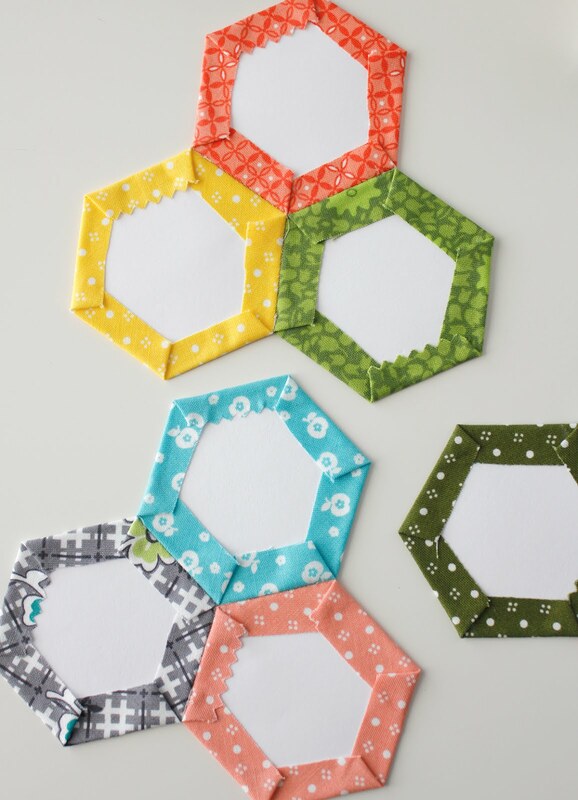 If you're ready to get started, you can find the 1.5" hexagon papers here (my favorite source for EPP papers.) One Room Schoolhouse fabrics can be purchased here at Pink Castle Fabrics, and here at Fat Quarter Shop. And before I sign off, I need to announce the winner of the Wonderland fat quarter bundle. Congratulations to commenter #19 - Linda! Thank You for a neat Giveaway! I will use it to make a charity Quilt! These hexies are super cute and congratulations to Linda!